Champagne tastes with a ‘Cava’ budget. That’s me. I seem to always fall in love with the most utterly ridiculously expensive things in shops and then baulk when I realise I’d have to take out a second mortgage to afford it. And yet that doesn’t stop me fancifully dreaming about having pretty luxe things. I mean, I like a glam look. That’s not a shocking bit of news to anyone, right? There are certain fabrics that just scream luxe and velvet is one of my favourites. If you can’t afford a larger piece of furniture, consider things like velvet cushion covers to add a bit of glamour to your sofa instead. 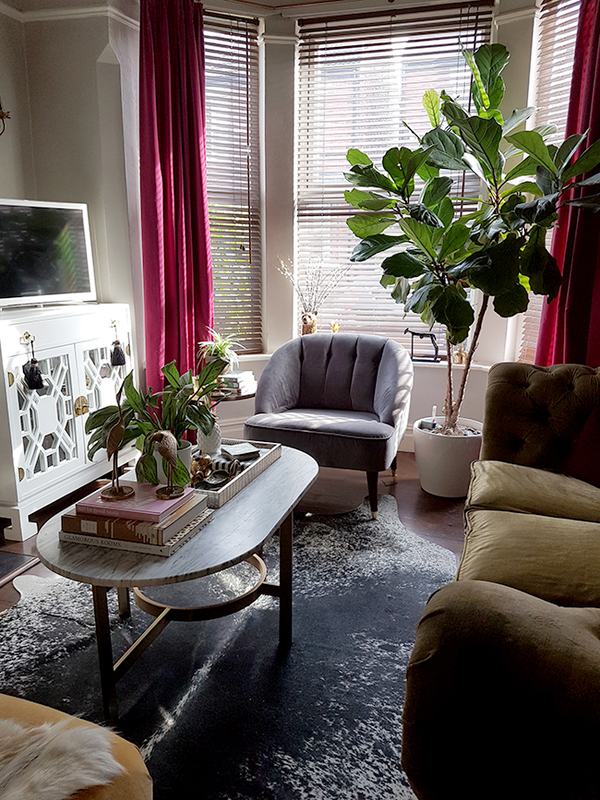 I have Ikea’s SENELA curtains in my living room and for less than £40 for a set of two, you’d actually have enough fabric there to consider creating your own headboard or updating some plain chairs. Other fabrics that add the luxe look? 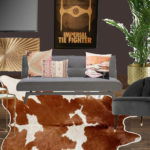 Faux fur, silk, cowhides, leather and linen. Well, of course, I was going to mention this one but gold always gives an affluent edge to nearly anything. Whether you fancy it polished, brushed or antiqued, a bit of gold goes a long way in creating a high-end look. The truth is that long long ago, gold was only affordable to the very rich. If you had enough wealth to afford real gold, you would show it off. 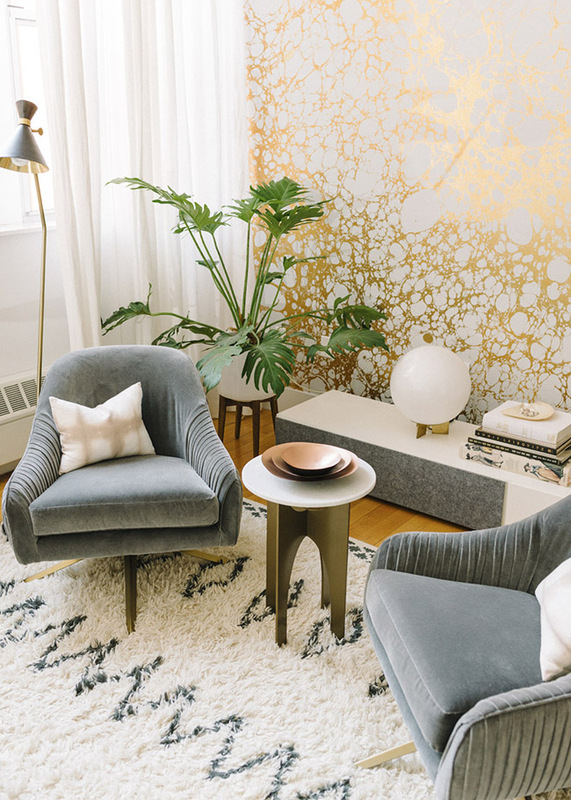 Today, that golden finish is much more affordable on everything from furniture to lighting to hardware and accessories but the aspirational history of gold still remains. Yes, it can look cheap and tacky when over-used or used incorrectly but a few items in this finish can go a long way to elevating your space and giving it a warm glow unmatched by any other metal. Two places I’d always recommend going a little oversized no matter what your style is in your overhead lighting and in your artwork. Both can add the wow-factor to a room and create a focal point. 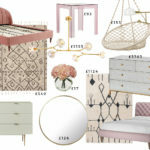 These items draw the eye but certainly don’t have to break the bank. 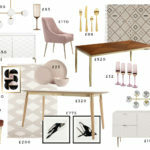 I love Ikea’s Ilse Crawford SINNERLIG pendant for wow factor at just £40. Looking for great lighting for less? Check out this post. Looking for great low-cost art? Check out Desenio, Society 6*, Minted and Poster Lounge for large-scale pieces at reasonable prices. 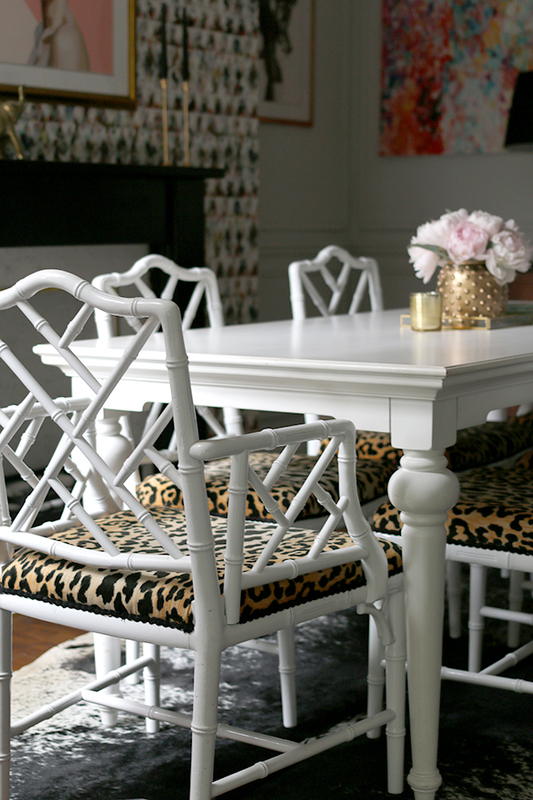 I adore marble but chose cheaper alternatives in my kitchen redesign. 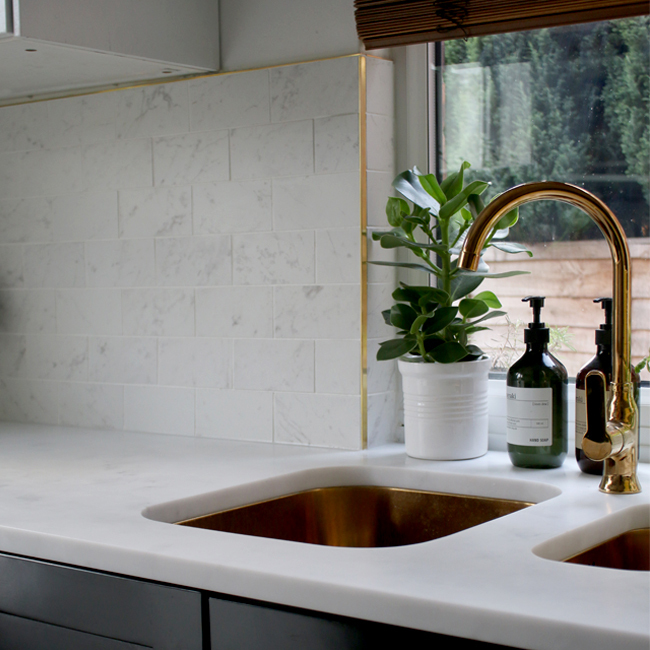 Matt porcelain tiles meant to imitate marble were cheaper as well as lower maintenance but still give my kitchen a bit of a luxe look. I also chose an acrylic worktop in a Carrara lookalike which cost half the price of the real deal. Look for good imitations of higher cost materials for an expensive finish that doesn’t have to break the bank. On a really tight budget? Consider contact paper made to look like the real thing. 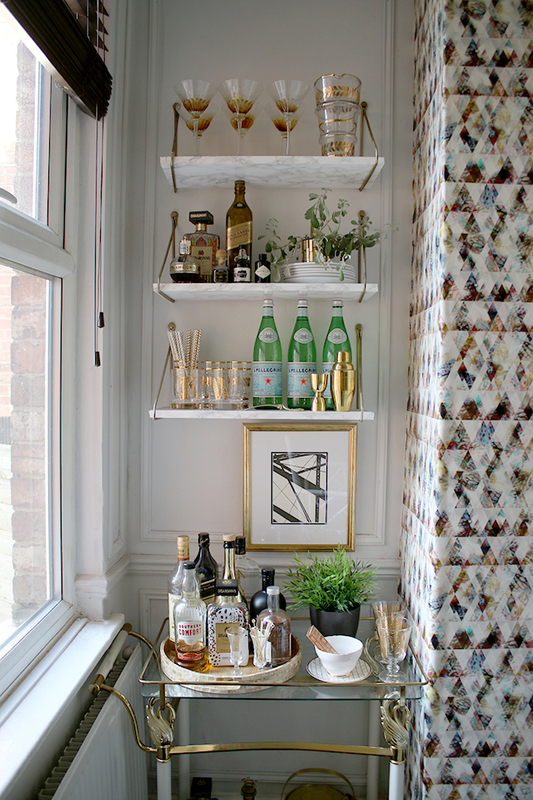 You can see how I made these faux marble shelves here. While I’m certainly not adverse to a riot of colour, there’s always something rather elegant about a base of neutrals to start off your look. You can go fully neutral with everything, ensuring you use a good mix of textures or you can add colour by way of accessories, soft furnishings and art. 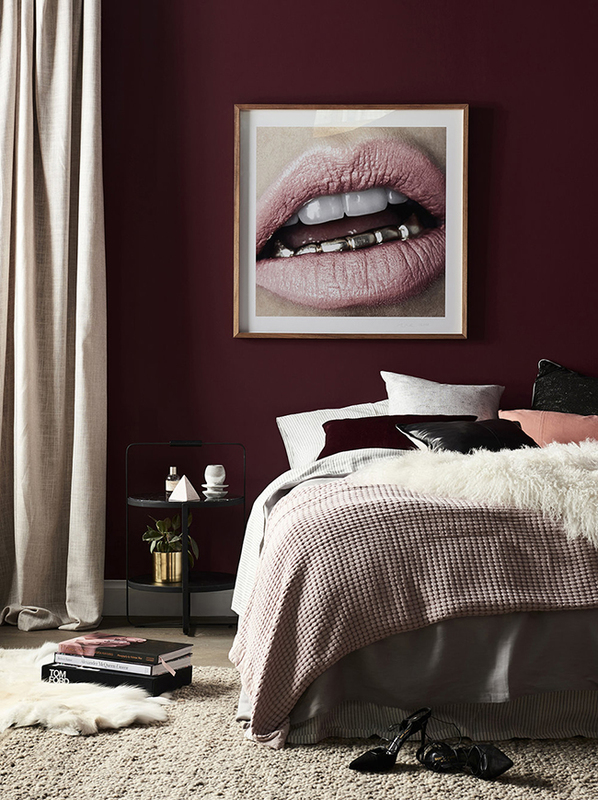 Investing in neutrals for your largest items will mean your look will last longer and can easily be updated for any trends you fancy trying out. 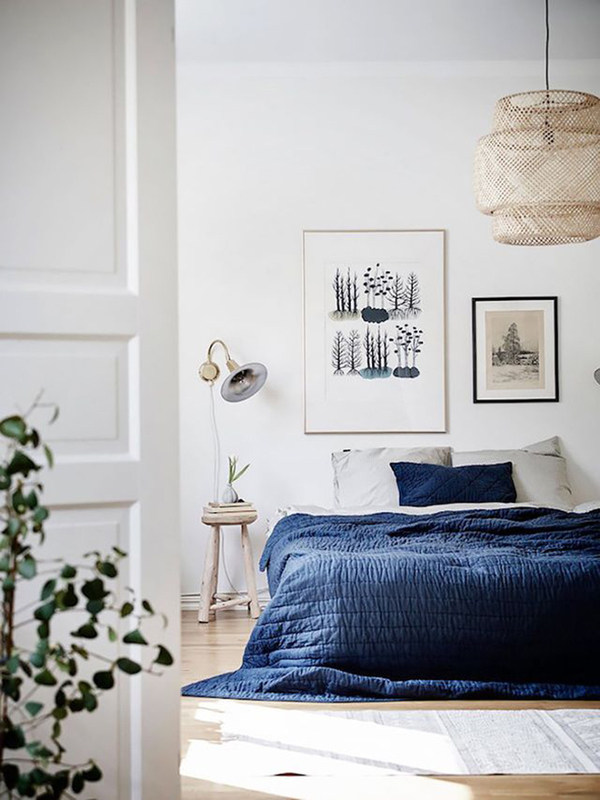 A few vintage pieces will also give your room a more expensive and elegant look – one that looks like it’s been collected over time with ease. There are certain eras that lend themselves well to a more high-end look – think ornate Victorian, Art Deco, Hollywood Regency, 70’s Glam. Mixing and matching older pieces with new is a stylish way to present your multi-layered personality because we all have a history and our rooms should too. 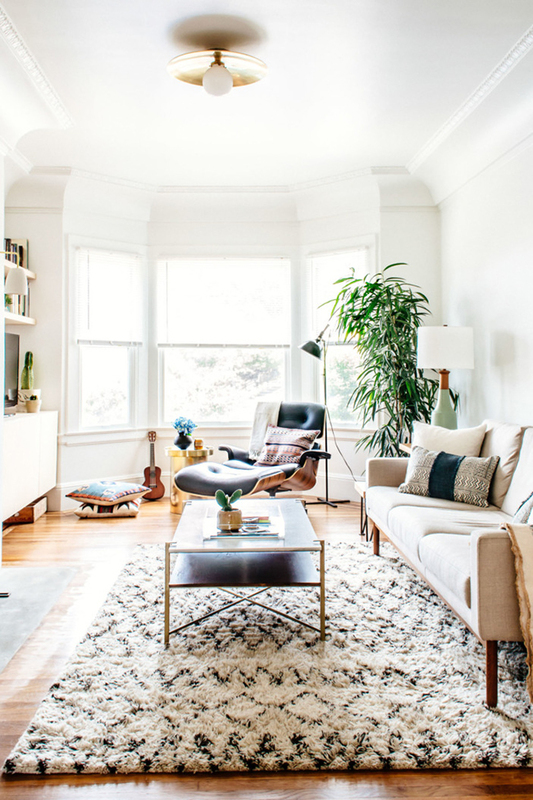 And finally, consider adding era and style-appropriate architectural features to your space. We added wall panels in moulding to our Edwardian dining room and it elevated the entire space. I also always add ceiling roses to lighting fixtures to highlight them against a plain ceiling. Adding moulding, chair rails or architraves doesn’t have to be expensive either and you can pick up lengths of trim at your local DIY store. 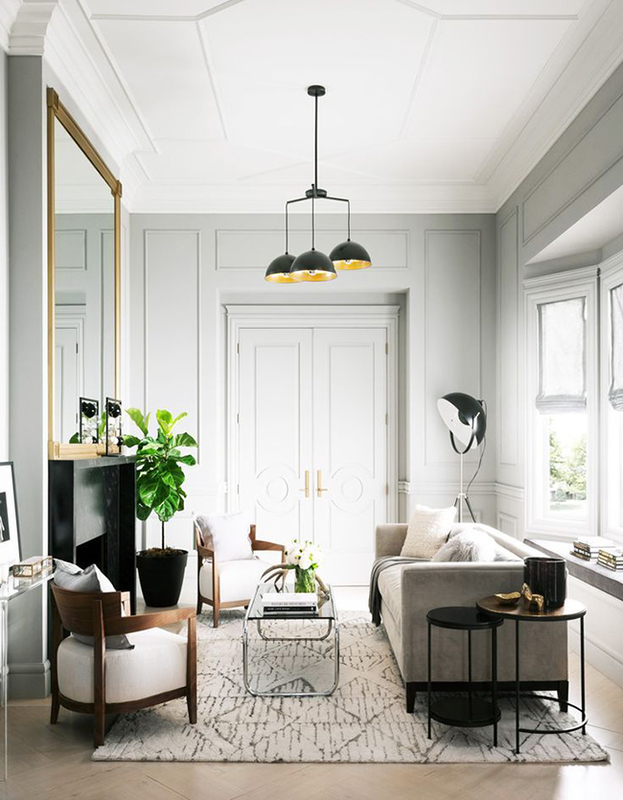 I love this look in older properties but even in more contemporary homes, simple trim between ceilings and walls and skirting board will finish off a room and make it look more considered. 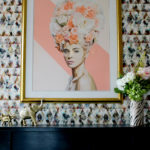 So those are just a few ways to get a more expensive look in your home even if you are on a tight budget. 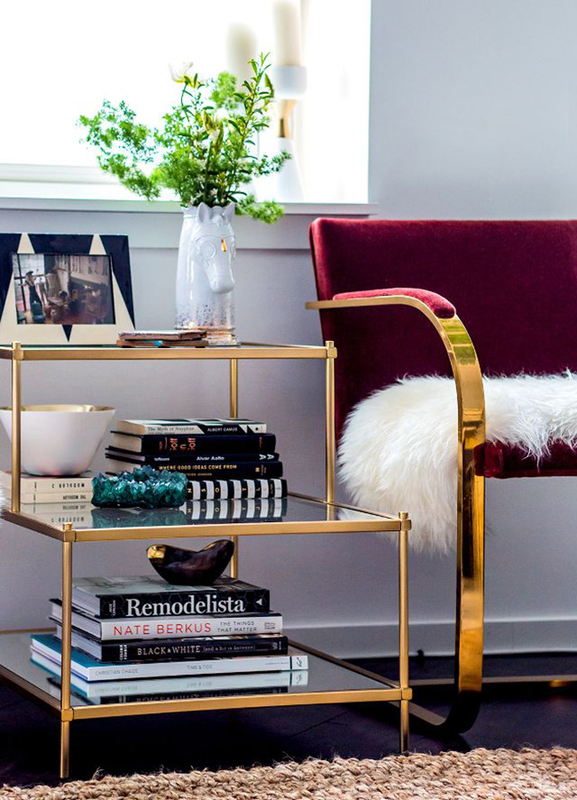 What is your favourite way to add a bit of luxe to your space? Let me know in the comments! Go “skipping”, preferably in local ” up market” areas. It’s also worth keeping an eye on skips near car boot sales. I got 2 gorgeous mirrors which somebody thought were too heavy to carry home! Remember, when “skipping” always ask if it’s OK to take. 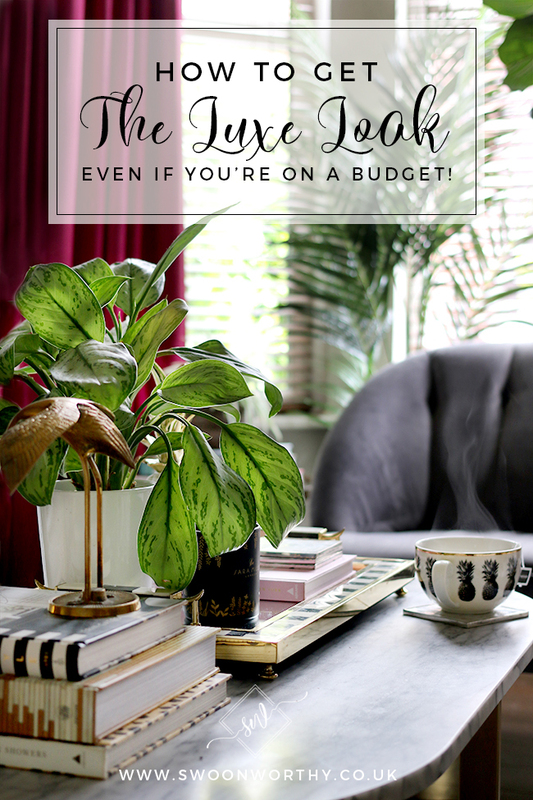 Lovely tips and you’ve most definitely got the knack when it comes to creating a luxury look for less! I always think that putting curtains/drapes somewhere other than at a window is a good one. Behind or around a bed or over the door for when you want to make a dramatic entrance (preferably wearing a long robe and a turban).